1. 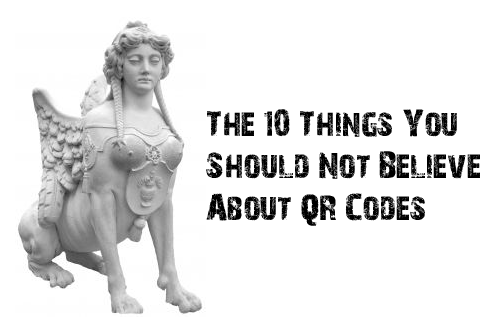 Your customers are not scanning QR codes, so you should not bother with it. 2. Newer and better technologies are going to come into the picture and the world is going to forget all about QR codes. 3. It is very easy to damage a QR code, rendering it useless. 4. You have no choice but to have ugly and boring QR codes. 5. You can invert a QR code. 6. You can only put Web site URLs behind QR codes. 7. A QR code is useless when you do not have a Wi-Fi or mobile data connection. 8. QR codes are going to go once visual recognition is in. One of the oft-repeated complaints about QR codes is that it is very difficult to get a clear scan. This is the reason why people say that visual recognition would definitely trump QR codes. Visual recognition is when you just point your smartphone camera on an image and it will instantly resolve to a URL or search the Internet to give you more information about the image. The truth is, QR codes have the upper hand in this area. While it is true that visual recognition is convenient, it is very expensive to do. For one, it will involve a higher computing power, so that means only high-end smartphones with a lot of horsepower are going to be able to do visual recognition. For another, computers have a hard time distinguishing between the number zero and the letter O as well as the number 1 the smaller case L and the letter I. The technology, in short, is not even close to perfect now. In contrast, QR codes are easier to implement and costs much less to use than visual recognition.